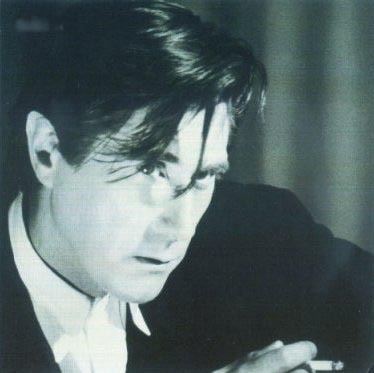 Bryan Ferry celebrates his seventieth birthday this year, but the man the NME once dubbed Byron Ferrari shows no sign of slowing down. Last year saw his latest solo album Avonmore and he’s still responsible for some of the coolest music of the last forty years, both solo and as frontman of Roxy Music. A few years ago, I argued that it might well be time for a Bryan Ferry resurgence, and I’ve rediscovered later Roxy and solo work. While he’s done numerous cover versions throughout his career, the aforementioned Avonmore closed with his cover of Robert Palmer’s ‘Johnny and Mary.’ This also appeared on Todd Terje’s It’s Album Time. And now a stunning video has been revealed for the song. If you think that in the post-MTV era of YouTube etc.. that proper music videos don’t matter any more, feast your eyes on a beautiful video for a fantastic interpretation of a classic song. It stars Ferry and model Eliza Cummings. 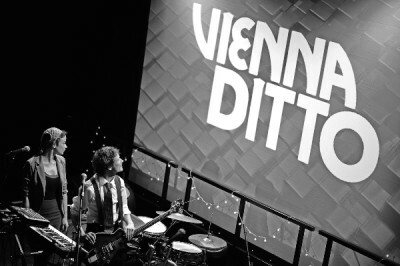 Vienna Ditto are the London-based duo of Hatty Taylor and Nigel Firth. Reportedly (well, the press release says so, and it’s not always possible to prove to the contrary) the pair who first met when Nigel taught Hetty the guitar when she was 11 years old. On their website they describe themselves as being ‘Voodoo Sci-fi Blues’ which sounds pretty accurate. However Radio 1’s Huw Stephens’s description of them being like ‘Portishead doing a Tarantino Soundtrack’ (particularly if the film in question was Pulp Fiction or Kill Bill) is also pretty spot on. For me Chvrches collaborating with The Cramps would also hit the mark on the head. Their debut album Circle is out on June 12. In the meantime, their next single, to be released on June 5, is entitled ‘Long Way Down.’ And it’s brilliant. Given that this blog takes its’ name from The Cure’s second album, it should come as no surprise that the opportunity to post Cure-related news is something I seize with delight. And when it involves another act that I have long championed on here, so much the better! Last year, the Twilight Sad released their fourth album Nobody Wants To Be Here, And Nobody Wants To Leave. 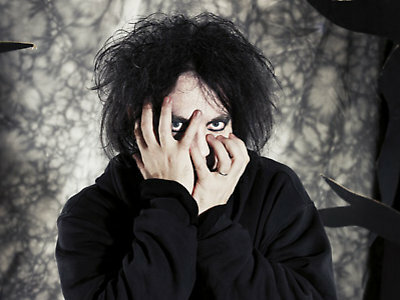 Now, for their next single from the album, ‘It Never Was The Same’ The Cure’s Robert Smith has recorded his version of the album’s ‘There’s A Girl In The Corner’ track to be the b-side. It’s utterly fabulous. and it’s out on June 15. Cinerama came into being in 1997 when the Weddoes went on hiatus, and Gedge collaborated with his then girlfriend Sally Murrell on a different sort of sound. Whilst the heartfelt love-songs continued, they owed far more to 1960s orchestral pop with flavours of soundtracks. By 2004, while Gedge was working on what became Take Fountain, he decided that the album sounded more like a Wedding Present album, the album was issued under that name. It has long been a stated ambition of Gedge’s to record and release a Wedding Present album in the style of Cinerama. So the album he has done it with is the 2012 album Valentina. Still with me? Good. Because while this project has obviously taken a while to come to fruition, it demonstrates that David Gedge doesn’t always need a wall of raging guitars to show off his songwriting skills. Whilst the Cinerama version follows the same tracklisting and order of the original Wedding Present one, we now have a vastly different take on the songs, demonstrating sympathetic arrangements and an intelligence necessary to carry the project through (which is lesser hands than David Gedge might well have fallen flat on its face). It might be questioned whether it’s necessary to be familiar with the original version of the album in order to enjoy it. On it’s own, it stands up fairly well, but it gives more sense to the concept behind the project if you’re aware of both albums. 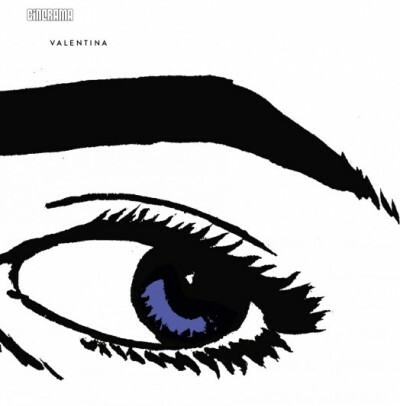 Valentina had never been one of my favourite Weddoes albums but I found that going back and listening to both versions side by side gave more of an insight into what had been done. Some tracks, such as ‘You Jane’, definitely are as good as the Wedding Present version, and I think ‘Mystery Date’ in this version is even more heartfelt and moving. What does perhaps hold the album back a bit is that it can be a bit much to take in one listening; having listened to the entire album several times finding that I needed to break it up a bit. On balance, though, it’s good to see that David Gedge has revisited his back catalogue in a different way, rather than simply recording an acoustic version or commissioning dance remixes, as might have been done by other (lesser!) acts in times gone by. It’s perhaps not the most obvious place to start for a newcomer to the work of David Gedge, but for those who are fans or want to investigate further, it’s an worthwhile addition to the catalogue. Valentinais out now on Scopitones. I couldn’t tell you. I haven’t heard the charts in a very long time but my favourite record right now is “These Walls” by Kendrick Lamar. Coming to America is probably my favourite film… EVER! The Alchemist by Paulo Coelo changed my life. My mum gave me a Bible when I was 14. I still have it & refer to it for my truth. Game of Thrones, The Wire, Entourage, Suits, Friends, Fresh Prince of Bel-Air, My Wife & Kids are a few favourites. First album I ever bought was on cassette. It was Naughty By Nature’s 19 Naughty 3 album. I bought it in a market in Accra, Ghana. I like all my records! I wouldn’t listen to some of my older records now but I liked it at the time I put it out. What is the strangest story you have read about yourself? Everything has been pretty on point so far. Katie Hopkins. The joke is in there somewhere. What’s the worst song lyric of all time? Who do you consider to be the most overrated musical act of all time? Probably Vanilla Ice. Never forget Vanilla Ice. I don’t have a car. I do drive though. You remember the cartoon Captain Planet? Well, I’d get Kwame from Captain Planet to play me. My film will be animated. Stream. I’m an avid Spotify user. How will you vote in the next election? My brother got married earlier this year. I shed a tear of joy and of sadness as my mother wasn’t alive to see. She would’ve been so happy to see him get married. Maxwell’s “This Woman’s Work” is probably just as good or better than Kate Bush. She did the original right? [She did indeed – Ed]. It was at a festival. A girl tried to reach over the barrier at the front and fell over the barrier flat on her arse. I stopped the show, laughed a bit & asked her if she was ok. She was, so we carried on. When I met Kanye West. I make a mean Spag Bol! I really don’t pay much attention to the royals. I’d probably be an Economist at the World Bank. Stood out like a sore thumb! A bit geeky, a bit shy but one hell of a cool guy, ha. I’d sum everything into the one – love each other. The 90’s was the best for hip hop. I’m happy I was a teen in the 90’s. Kobi Onyame plays BBC Introducing at The Quay in Glasgow on Sunday June 7, alongside Honeyblood, JOnnie Common and United Fruit, amongst others. 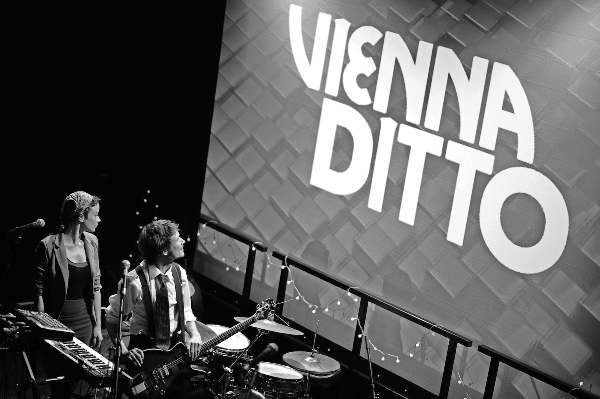 He Also plays the Solus Tent at Wickerman on July 25. 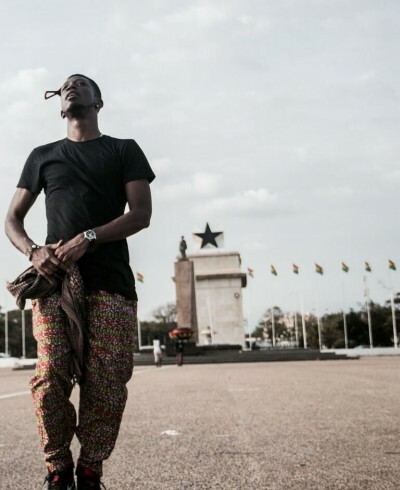 His new single ‘Imminence (Only Matter Of Time O)’ is released on July 5. 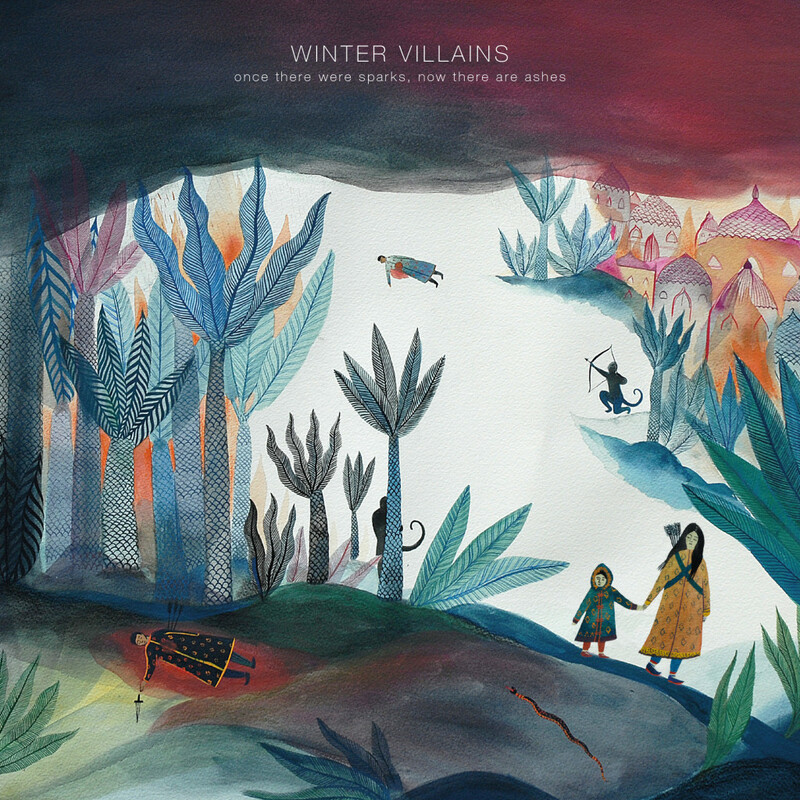 Winter Villains are the Cardiff-based act Josef Prygodzicz and Faye Gibson. Descrined as being an experimental chamber pop-band, they could also be said to inhabit that relatively uncharted space where indie-pop meets post-rock. ‘Empire,’ the first single from this, their sophomore album is a perfect introduction: boy/girl vocals, deceptively simple and utterly heartbreaking. This track alone I could listen to for hours at a time (or my heart broke, which I think it could). 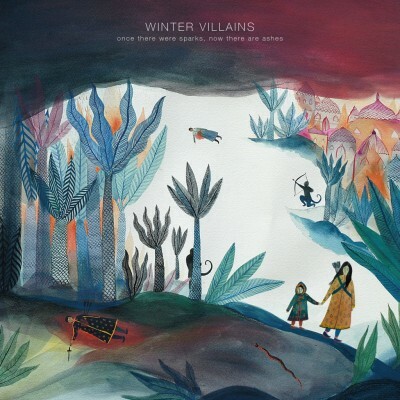 Then there’s the beautiful ‘Hunters’ which is in waltz-time, and the experiments with a an ambient-meets pastoral sound on ‘We Lost Our Children To The Depths Of The Forest’ and the title track…I could go on. 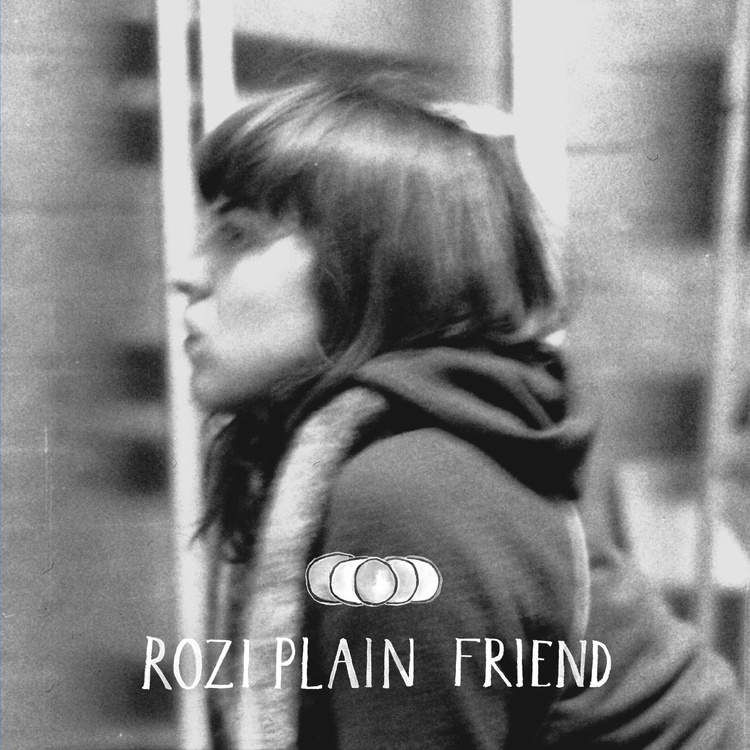 The third album from Rozi Plain is an undeniably gorgeous affair, with an amazing range of styles on display. Somehow, it all flows together to make a very impressive album that feels very much a whole rather than scattered ideas. It opens with the singalong folk-pop of ‘Actually’ which then goes into the the summery jazz of ‘Best Team.’ Yet later on we have the krautrcoky ‘Jogalong’ followed by the pastoral ‘Quarry.’ How does she do it? Make no mistake, this is not just another singer-songrwiter record (Lord knows there have been way too many of those over the years!). What is so wonderful is the delivery and inventiveness of Rozi Plain and her collaborators (including members of Hot Chip and Francois and the Atlas Mountains, amongst others). Reportedly it was her brother who got her interested in the guitar. We should all give thanks that he did. Friend is out now on Lost Map. 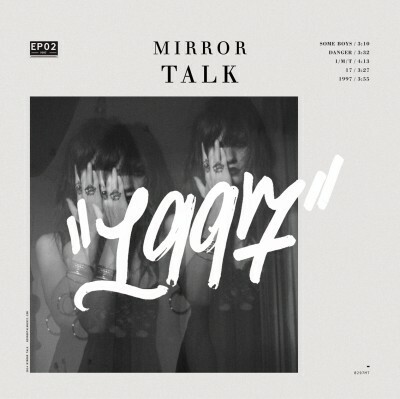 Mirror Talk are a new name to me, but this LA band and their song ‘Some Boys’ was something that dropped into my inbox and is musically rather more-ish…like something from the first half of the eighties, and all the better for it. The band (according to their facebook page) are Court Alexander (Vocals), Steven Lopez (Synthesizers & Guitar), Sean Krell (Synthesizers & Bass) and Dave Lewis (Synthesizers & Percussion). Every so often, something drops into my inbox that strikes me as a bit different and worthwhile featuring. In this case it was an email from America, from a young man called Mat Sak who performs as Suede Arrow. This is wonderfully raw garage rock with a slight bounce to it. According to his email, back in 2012 he knew he needed to turn around his life when he found himself in George Bailey county jail as a teenager. 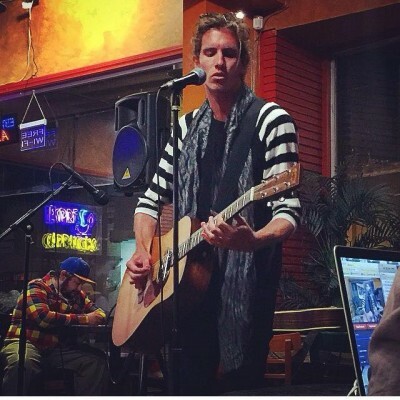 So this year he hopped on a train to LA with nothing but his clothes and a guitar. It’s a cool story and these are three tracks you ought to hear. Sorta in the vein of Beck, early White Stripes and pre-Ziggy Bowie. I am in Dalston. The weather is uncharacteristically spectacular, it’s all cerulean skies and pink blossom out there. 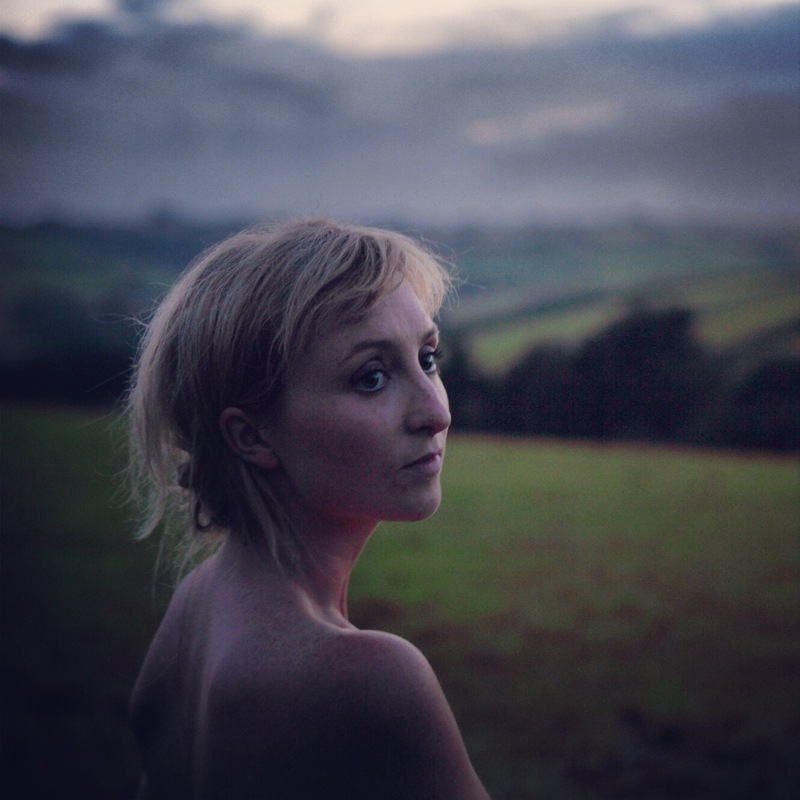 I have to say, I don’t really follow the charts but I am loving Laura Marling’s new track, ‘False Hope’ and am cataclysmic with joy that Courtney Barnett has another record out. Such a difficult question but I would have to say that Taxi Driver and Fargo are both magnificent. Another tough one. In recent days I have really been getting into Anais Nin, Virginia Woolf, Sylvia Plath, Albertine Sarrazin. I love Hemingway, Cormac McCarthy, Salman Rushdi, Haruki Murakami, the list is endless. Salvage the Bones by Jesmyn Ward is one of the most fiercely beautiful things I have ever read. Embarrassed to say I haven’t read Eleanor Catton’s The Luminaries yet but that is next on the list. I don’t watch TV but you have to tip your hat to The Sopranos, don’t you? Also loved the latest season of The Fall with Gillian Anderson and Jamie Dornan(!). Bic Runga’s ‘Drive’, from our local record store in Wanaka, New Zealand. I think my friend David McMartin gave me a home-taped cassette of it first but I wore that sucker out. Incidentally, Dave’s little sister, Fi McMartin is now in the band…. They are all my children, I love them equally. Even the ugly ones. I’m not sure, does she believe in me? I dare say it might be this one. I detest humour in all its forms. I have a most beautiful pointer/beagle mix called Hayes Dog, the apple of my eye. New Zealand’s current Prime Minister, John Key. I don’t drive these days as having a car in London seems silly when you can get around so easily. I have a lovely bike, a BMC SR01, that I use to commute. Horses for courses innit. Format is constantly evolving and I think it might be foolish to tie your flag to one mast. Yesterday. I had one of the most enlightening conversations I’ve ever had and it made me happy. So I cried. Obviously. A young man came and sat in the front row and knew every word to one of my songs. We’re friends now. Definitely. I don’t usually find it hard to speak to people but when PJ Harvey was standing next to me at an event chatting to Nick Cave it was like my lips were glued together and my eyes were buttoned open. Wide open. I feel like if they stay there will be trouble but, if they go, there may be double? I would go crazy in Saudi Arabia. Hannah In the Wars is released by 99X/10 on May 25.